My association with Kanyakumari was very blurred until this trip. I know the place from my geography book as the “Southernmost tip of the country”. Located in the state of Tamil Nadu, Kanyakumari is also popular as the “Land’s End” of the Indian subcontinent. 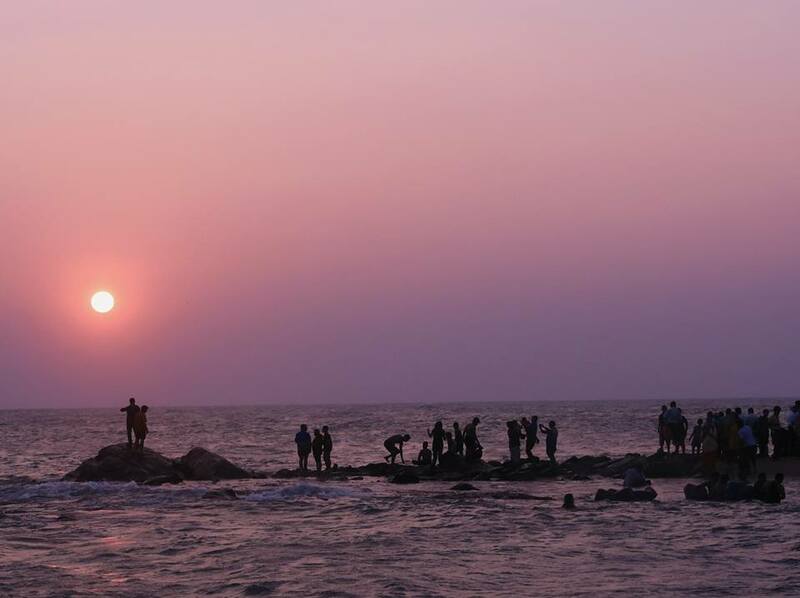 I also happen to know that Kanyakumari boasts the best sunrise and sunset view. But did it ever occur to me that I should plan to visit the place? No, absolutely not. But then when I saw Kanyakumari lying peacefully on the route map of my South India trip, I couldn’t skip it. I decided to spend two days in Kanyakumari before I head to Rameshwaram. 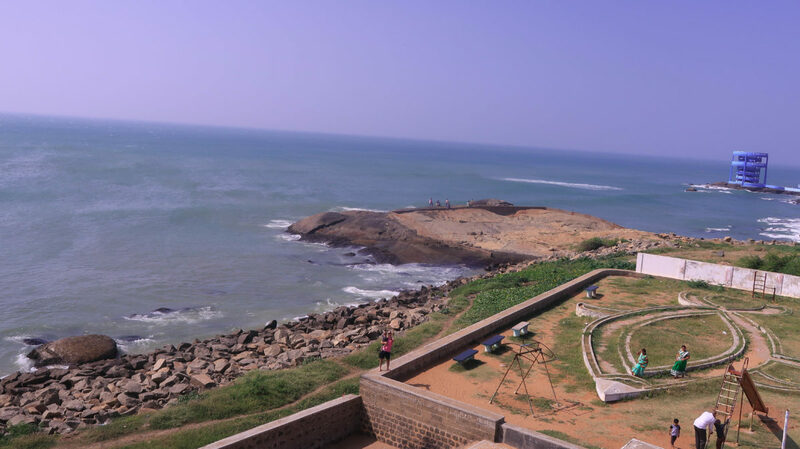 The drive from Thiruvananthapuram to Kanyakumari is majorly along the coastal line and is scenic and full of surprise elements. Witnessing hundreds of coconut tree with the Arabian Sea at the backdrop balancing out the whole scene very well. The three hours’ drive will make sure you are glued to the window all the time. I mostly plan my days in advance and so was the case with Kanyakumari. The plan for the day was to eat and retire. The next day started early and without a blink, I was headed to see the sunrise. I have written about my sunrise experience in length, you can read it here. 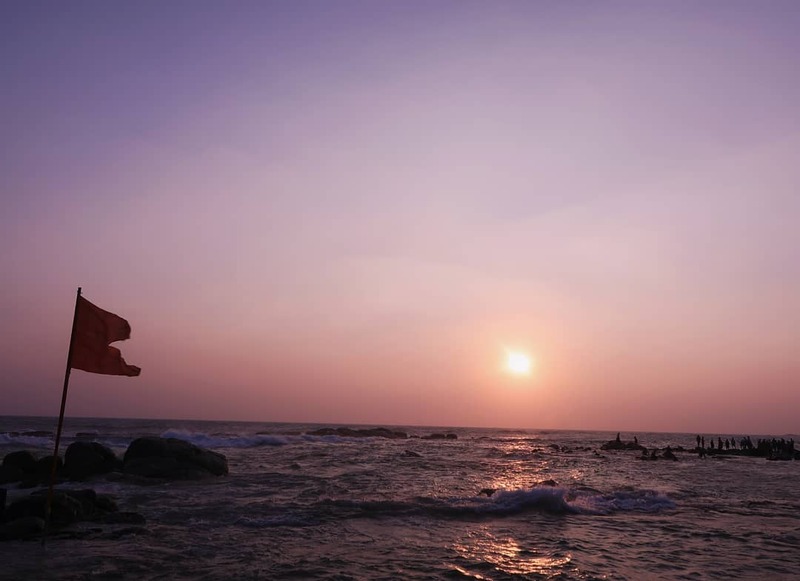 And no matter how much I write I will always have more to describe the magical sunrise of Kanyakumari. It changes you from within. I remember having this unfamiliar lingering feeling while I walked back from the famous sunrise point. 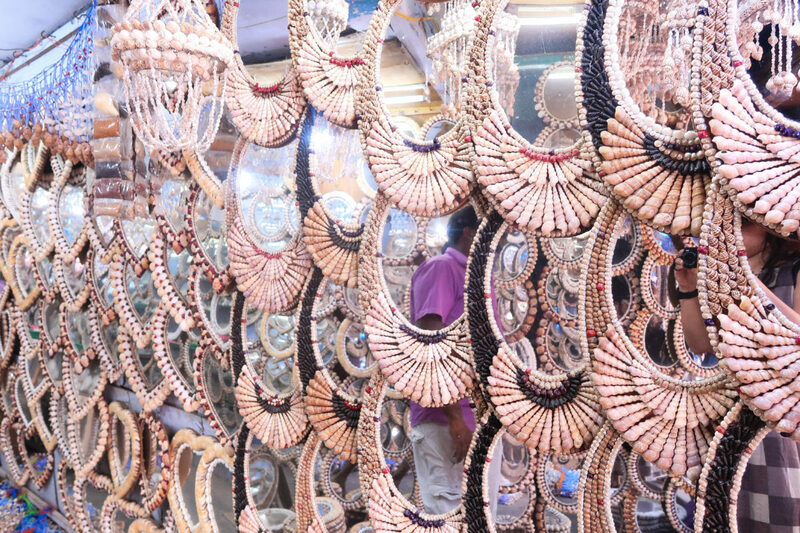 As the day unfolds and people get back to their everyday chores, the quiet lanes of Kanyakumari transform into a boisterous affair. 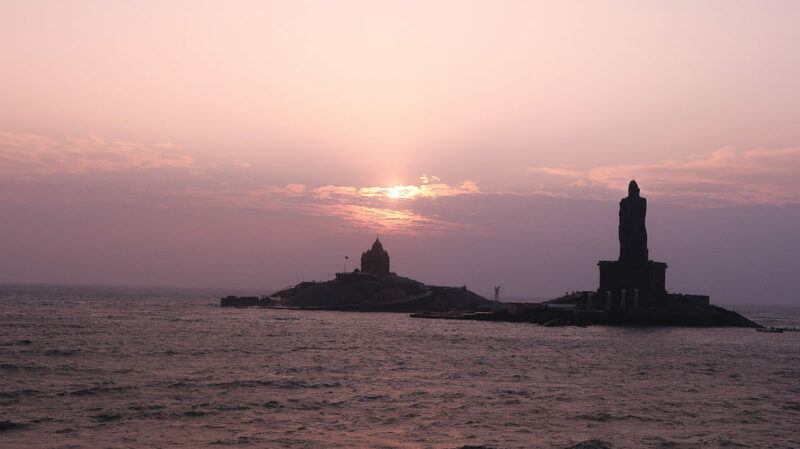 After witnessing a magical sunrise it was time to do something that you cannot miss when in Kanyakumari. 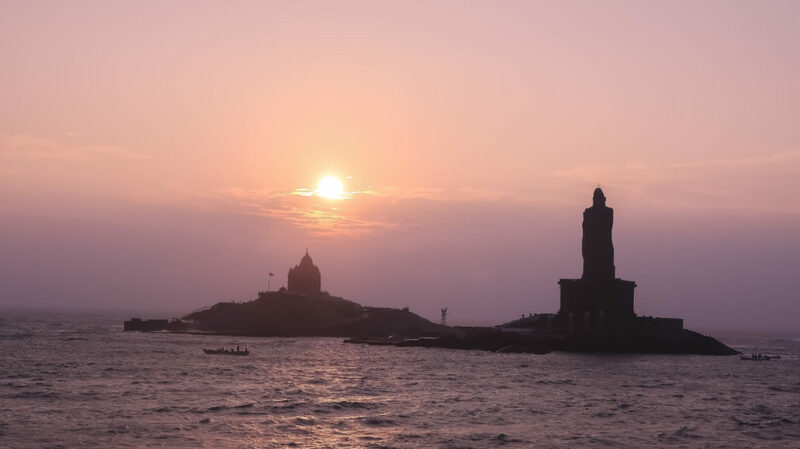 A visit to Vivekananda Rock Memorial and Statue of Tiruvalluvar has to be on your “places to visit” list of Kanyakumari. Vivekananda Rock Memorial is built in honour of Swami Vivekananda and is believed to build over the same rock on which Swami Vivekananda attained enlightenment. Next to the memorial stands tall the statue of Thiruvalluvar. Thiruvalluvar was an accomplished Tamil philosopher and poet. He was the author of the legendary Tirukkural which is highly revered in the world of literature. 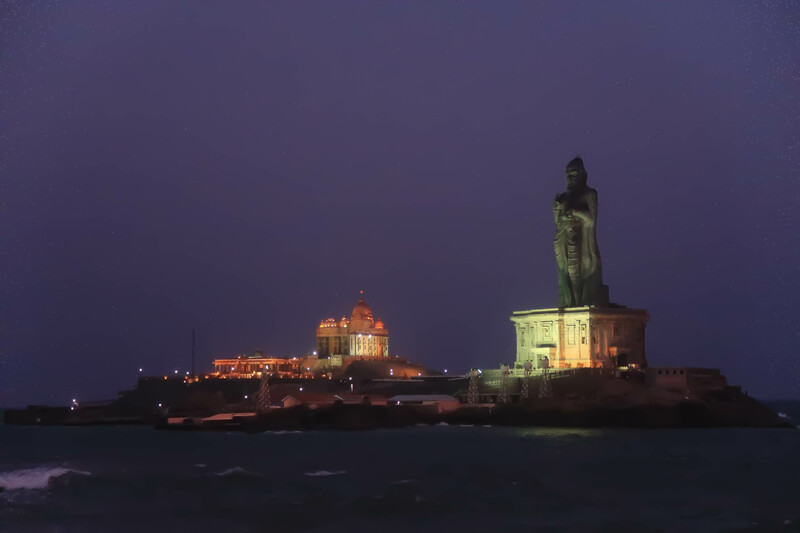 The statue of Thiruvalluvar is created to honour Thiruvalluvar’s contribution and devotion to the Tamil literature. With glistening water in the backdrop and blue sky up, the whole set up looks very humbling and inviting. The memorial and the statue both are located on a small island in the Indian Ocean and can be only visited via ferry rides. And here comes the bummer because the ferry rides were closed due to high water current. I couldn’t visit the memorial and statue and had to satiate myself with just the visuals of them from far away. Guess I have one good reason to go back to Kanyakumari. While I walked back through the narrow crowded lanes, I couldn’t help but feel disappointed for not being able to do the one thing which is the highlight of Kanyakumari. But shedding those thoughts I looked forward to the day-long date with the coastal town. It was hot beyond words, my strong hat and sunglasses stood no chance in front of the blazing sun. But I had just one day in the town and I wanted to make the most of it. 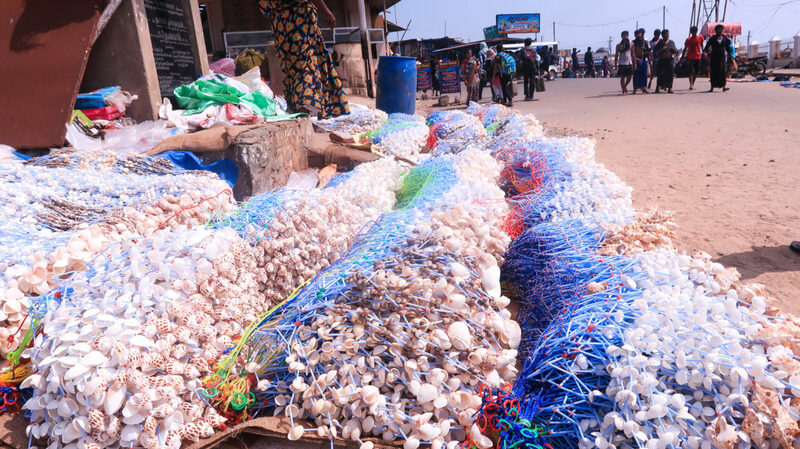 So without caring much about the heat, I walked through the lanes lined by souvenir shops adorned with seashells artefacts and colourful clothing items. The next pit stop was “Gandhi Memorial”. This place took me by surprise with its numerous trivia associated with Mahatma Gandhi’s life. 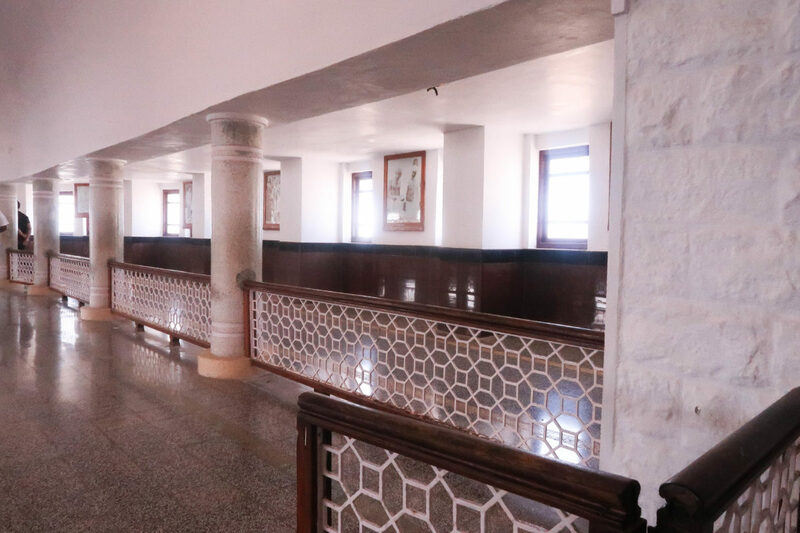 Gandhi Memorial is built at the exact spot where Mahatma Gandhi’s ashes were kept for public darshan before immersion in the sea. 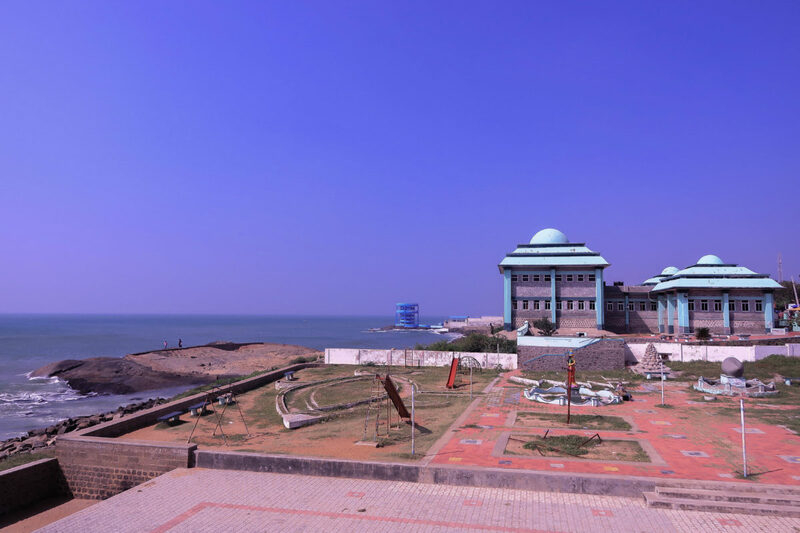 Conveniently located at the popular shoreline of Kanyakumari, the memorial can be easily found. It’s at walkable distance from all other major attractions of Kanyakumari. Interesting facts about the memorial includes the height of the building which is 79 feet, same as the age of Mahatma Gandhi. 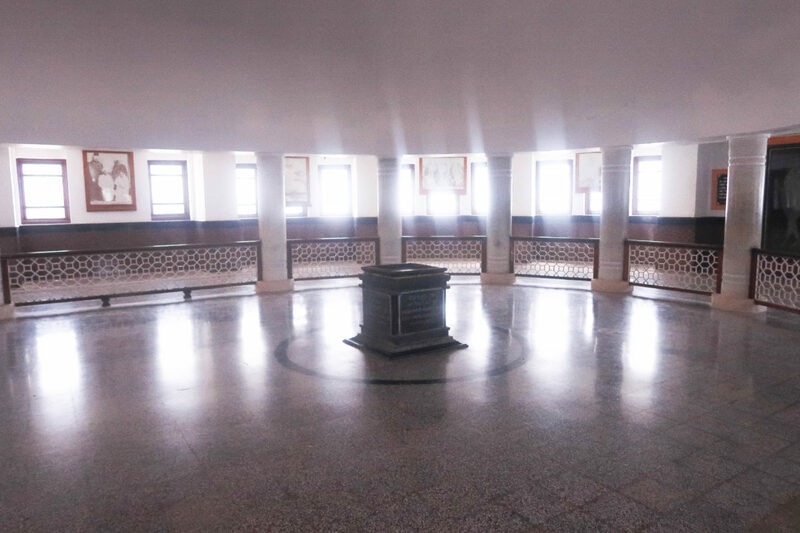 Also, the main mandapam is built in such a way that sunrays directly fall over the spot (where the urn with ashes was kept) through a small hole in the roof, on 2nd of October, which is Mahatma Gandhi’s birthday. The memorial has interesting architecture showcasing an amazing amalgamation of different religions. The entry is free, however, you will have to pay a nominal fee to keep your shoes outside the memorial. The top of the memorial gives an amazing view of the shoreline. It is a great spot for the photography enthusiast. As I made my way out of the memorial, my disappointment of not being able to get to Vivekananda Rock Memorial started fading off. I stopped for quick refreshments, majorly to hydrate the body. The next stop was Vattakottai Fort. The fort is located approximately 7 kilometres away from the main part of the city. A simple search on Google maps will take you right in front of the fort. 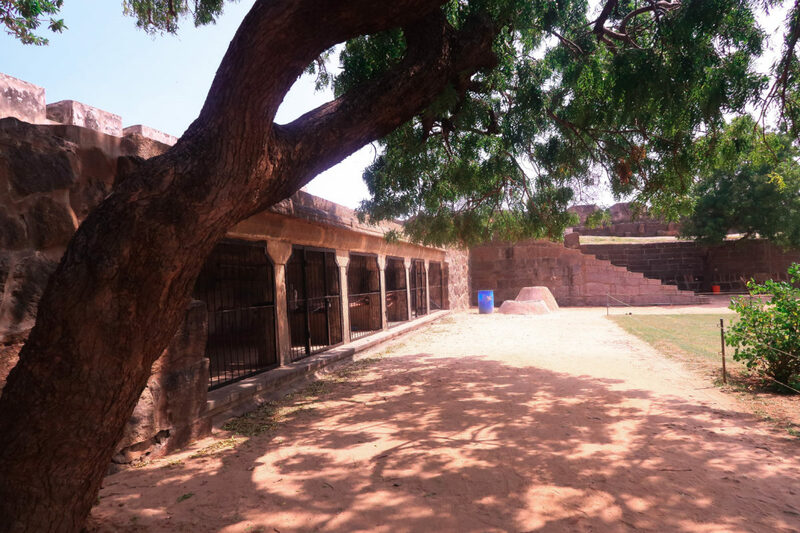 Vattakottai, a coastal fort was built during the reign of Travancore kingdom in 18th century. The main purpose of the construction of this fort is coastal defence. The sky-high robust wall surrounding the fort clearly confirms that. 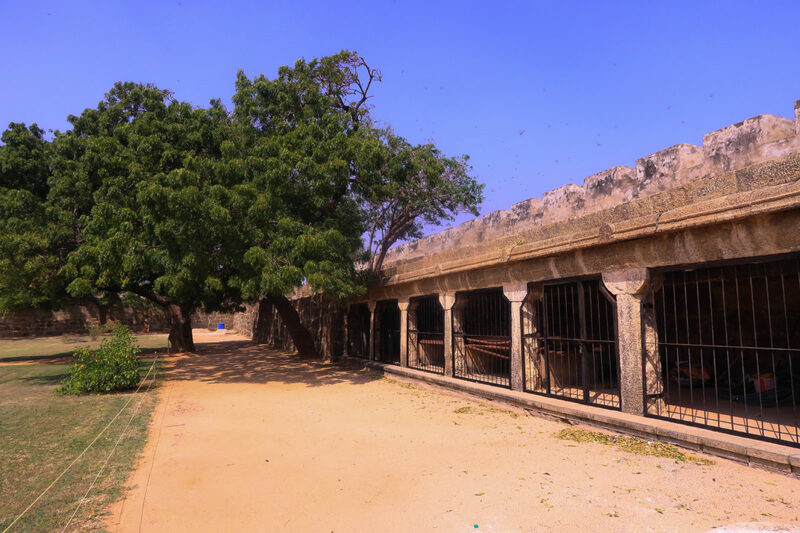 It is also believed that there is a secret underground tunnel which connects the Vattakottai Fort to Padmanabhapuram Palace. A palace which houses seat of all the erstwhile rulers of Travancore. There is not much inside the fort except for few empty rooms with bars resembling a unit from a jail which are actually weapon rooms and a small pond in the middle of the fort. 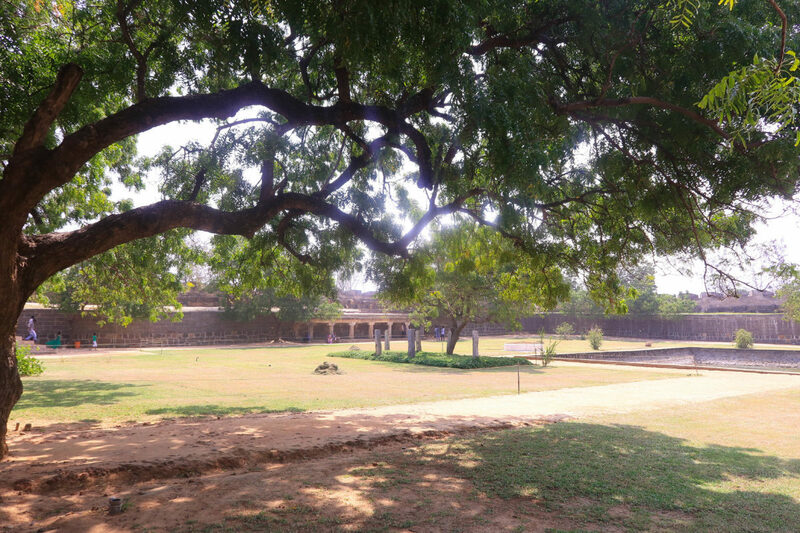 Vattakottai means circular but contrary to the meaning the fort is rectangular in shape. 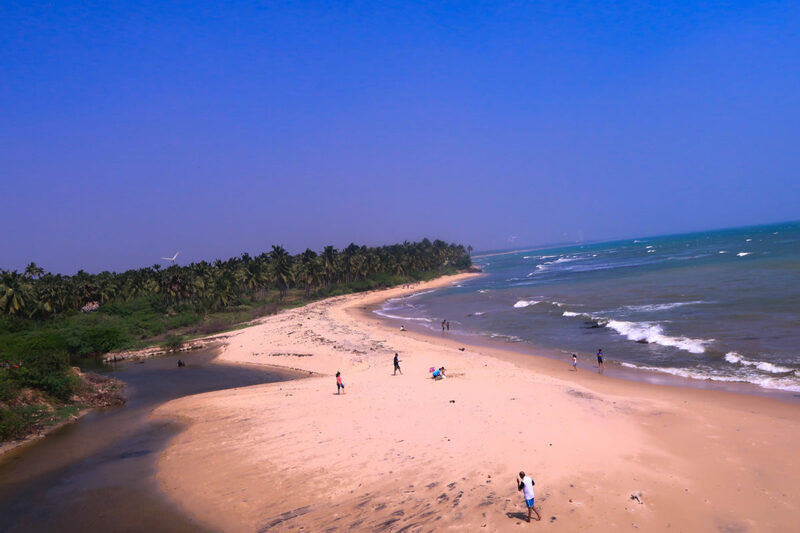 Something that you shouldn’t miss when inside Vattakottai Fort is to climb up and enjoy the most scenic view of the beach. The scene looks like straight out of some exotic beaches of Miami or Florida. Check the pictures if you don’t believe me. By the time I left the fort it was my most favourite time of the day. And I was on my way to witness the gorgeous sunset of my life. Sunset from the View Point. 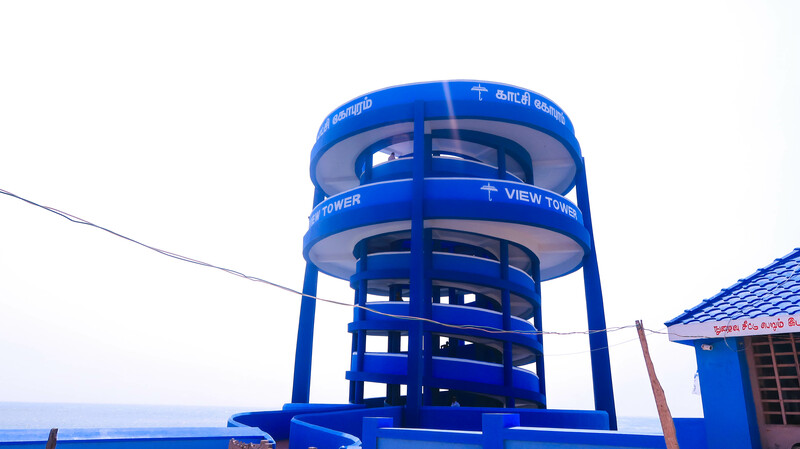 Kanyakumari has a designated spot to watch the sunset, popularly known as the View Tower. 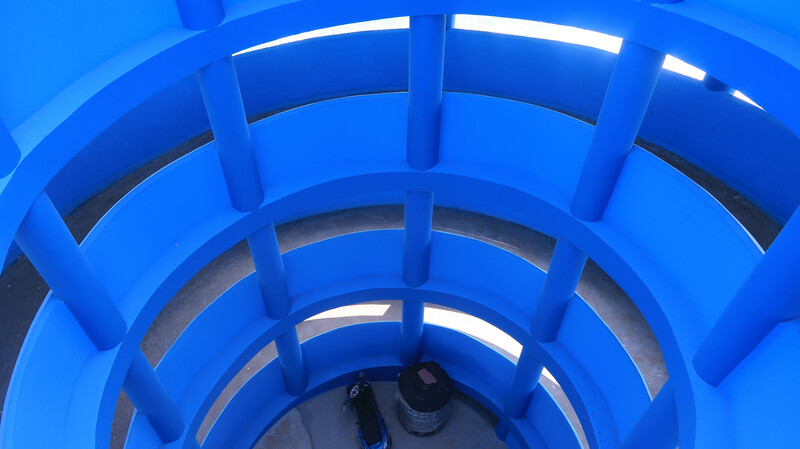 The View Tower is a huge cylinder shape building with a spiral pathway to reach the top. This spot is probably the highest you can reach in Kanyakumari. Overlooking the three seas, it is one of the most strategically located spots as it allows you to get a glimpse of whole Kanyakumari. Considering all these factors, there was no doubt that the View Tower would be bustling with people to witness the perfect sunset moment. And I wasn’t surprised but rather overwhelmed with the number of people at the top of the View Point. There was no way I could even set my one foot in that ocean of people. I decided to look for another spot. 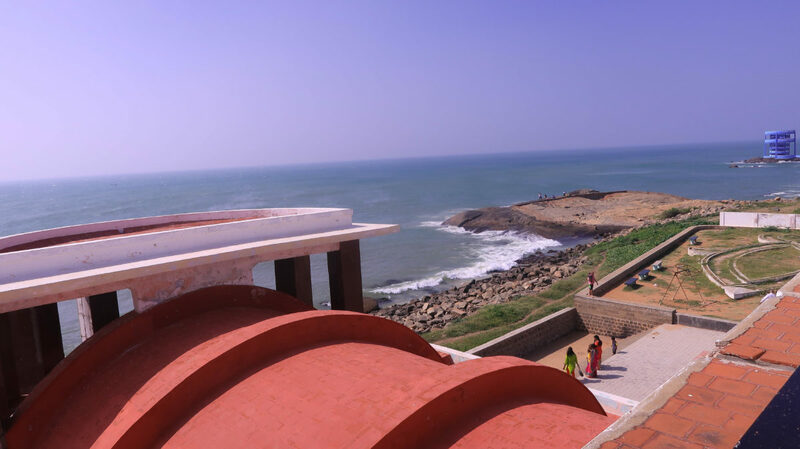 And my search took me to another must visit place in Kanyakumari which is Triveni Sangamam. As the name suggests, Triveni Sangamam is the spot of the confluence of the three seas, India Ocean, Bay of Bengal and the Arabian Sea. It is a general belief that a dip in Triveni Sangaman washes all the sins away. Logistics didn’t allow me to take a dip but I just dipped my feet in the cold water. Barring the bank which had some litter here and there the sea looked clean and glistening with the last rays of the sun. From the people chanting mantras, to people goofing around to people telling incredible stories, you can see all kinds of people at Triveni Sangamam. There was a different energy in the air, mild and yet powerful. In few minutes the sun went down. And just when I turned my head to the other side, the Vivekananda Rock Memorial and Statue of Thiruvalluvar were lit up. Over the strong current of water, the memorial and statue were twinkling now and then making the whole scene balanced in every possible sense. It was my last day in Kanyakumari. 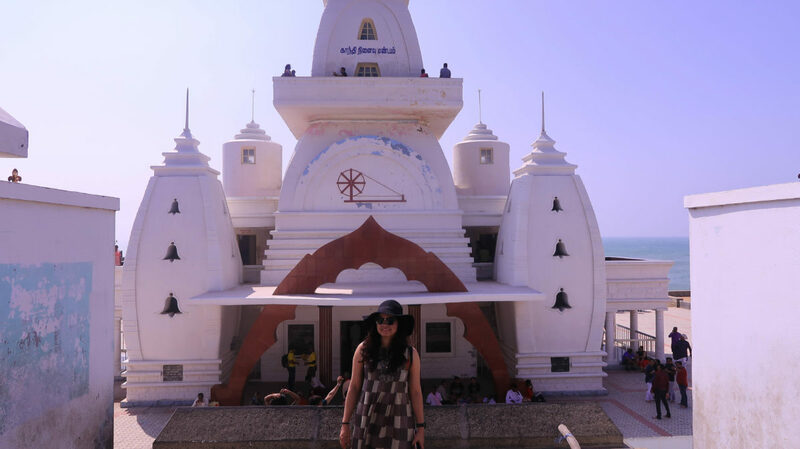 The next day I had to leave for Rameshwaram. So I decided to spend some more time at the bank of Triveni Sangamam. Even though the spot bustles with people and yet there is a unique peaceful element in the atmosphere. The cool breeze from the sea doesn’t let your mind distract to the commotion around. For a moment nothing goes in your mind, it just goes blank. You don’t have to decide anything, what to do next, where to go next. Just sit and watch the waves until you feel like getting up and walking away. My trip to Kanyakumari was far from holistic. There were few things that I couldn’t do and did a lot that was never planned. From feeling happiness, disappointment, contentment, the trip was a discovery of a new emotion at every step. I am not sure if I will ever go back to Kanyakumari or not. I am yet to decide that. Because I am yet to balance out the emotions and figure out which one is weighing high. I am loving this emotional hurricane that I got from Kanyakumari. And hence I am in no hurry to decide anything further.